Listen to Professor David Tissue as he explains his research at the Hawkesbury Institute for the Environment at UWS Richmond campus. A facinating experiment that is looking at plant responses to future rainfall changes as a result of climate change. 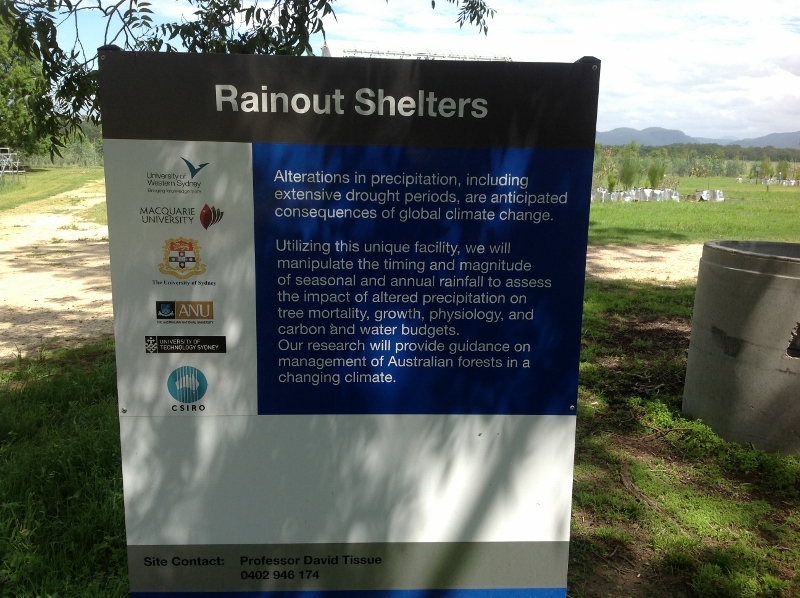 These shelters allow reserachers to monitor and control the amount of moisture reaching the studied trees. This is the second video in a series that we have produced. You can view the first video on the EucFACE experiment here. These videos will be used as a pre-excursion task for high school students who will be visiting the site. The program should be up and running next year! Watch this space.